Ms. Kubota is very gentle and I got very excited to play with her. During the summer, my daughter came to visit me and stayed for a month while I was working in Baltimore away from Japan. I asked Ms. Kubota to give my daughter lessons during she is staying in Baltimore. 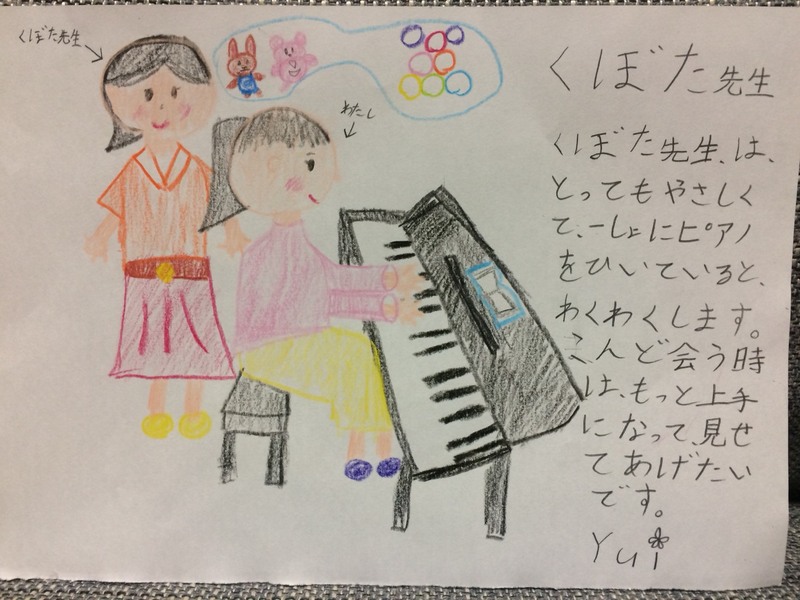 I was very grateful that Ms. Kubota gave my daughter enjoyable inspiring lessons to kept her motivation during the summer and rending her keyboard for her to practice at home as well. The time itself was very short for intensive lessons for a short period of time during the summer, but it seems it was really impressive and memorable experience for my daughter. She keeps telling me that she wants to show her better playing when she will take lessons with Ms. Kubota again in the future. 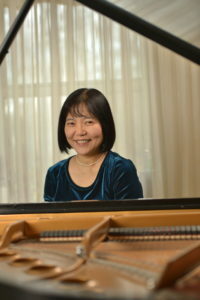 This encounter with Ms. Kubota gave my daughter an great opportunity for adopting to the piano in her everyday life. We are looking forward to see her and take lessons with her next time. 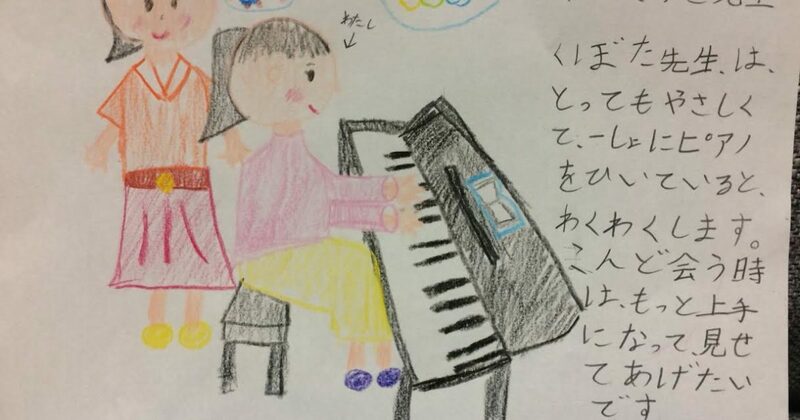 by Yui’s Father, Mr. K. M.